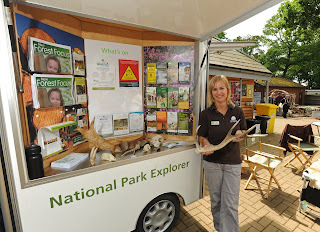 Ranger in front of the Authority’s mobile unit. Around 1,300 people visited the second annual ‘Greener Living Show’ at Sandy Balls Holiday Centre near Fordingbridge, on Sunday 8 May. The New Forest National Park Authority teamed up with IKEA and Sandy Balls to show people how small changes can have a big impact on the environment. 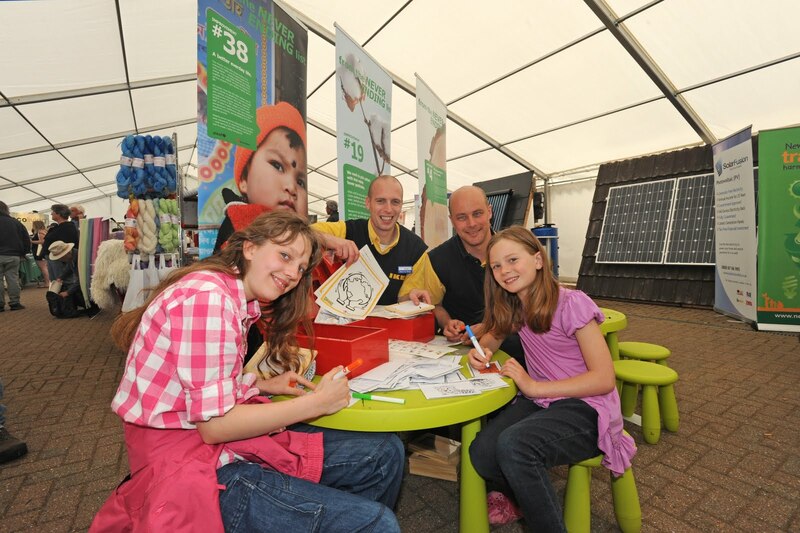 Over 50 stands exhibited including; the IKEA sustainability road show, Brand New Forest, the Forest Store, New Forest Transition and a variety of local food and craft stalls, children’s activities, renewable technologies and cookery demonstrations from the New Forest Marque. BBC Radio Solent also broadcasted their popular Gardener’s Question Time from the show between 1-2pm.